Why Use a Protein Powder? Protein, we all know we need it, we all know it’s good for us. But what does protein really do for us? Protein helps to keep hormones balanced, it is good for you skin, nails, hair and metabolism. It is an important component of every cell in your body. Your body uses protein to build and repair tissue, bones, muscles, cartilage, skin and blood. Boy, protein has a lot of work to do! Protein is known as the building blocks of your body. We want to get the best quality protein into our bodies. Some high quality sources of protein are organic hormone free chicken, grass fed beef, organic eggs, wild caught fish and organic vegetables and plant based proteins. Plant based proteins such as vegetables, and plant protein powders supply the body with nutrients, enzymes and fiber. They are alkalizing to the body and a great way to get protein into the body. I get a lot of questions about protein powders to supplement the diet with. Protein powders are a great way to add protein to the body quick and easy. We don’t always have time to grill up a chicken breast or marinate tofu and take it on the run with us. I love protein shakes and green smoothies as a way to get that muscle building, body repairing, beautifying protein into the body. I personally prefer a plant base protein powder and they come in many different combinations such as pea, brown rice, bean or hemp or a combination. Plant based protein powders can be a great choice for vegetarians, vegans, or allergy sufferers (or anyone who wants a reprieve from animal-based products), while still getting enough protein in their diet. Plant protein is perfectly packaged along with an abundance of phytonutrients, antioxidants, vitamins, minerals, and fiber—all critical components for optimal health and disease prevention. Blended plant-based protein provides a full spectrum of amino acids through complementary sources and is alkaline forming in the body. A high quality whey protein is digested by the body quickly. It is great first thing in the morning and/or before & after workout. Whey has been shown to help repair muscles post-strength session, and increase muscle strength and size when consumed within two hours of your workout. Drinking a 1/2 of a scoop of whey or plant based protein pre and post workout with a piece of fruit such as an apple or orange is a great way to get through tough workouts and help your body repair itself afterwards. Egg and Casein are slower digesting proteins that can be taken anytime. Since they are slower to digest they are good to take at night time before bed so your body will utilize them to repair your muscles and nourish your bod while you are sleeping. 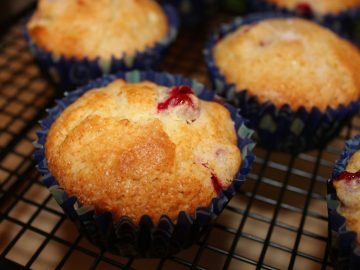 Egg protein is a good protein to cook with and add into baked goods. Here are some of the protein powders I use and recommend. Look for high quality proteins without artificial colors, flavors and highly processed sweeteners. I alternate and use both plant based and whey based protein powders. 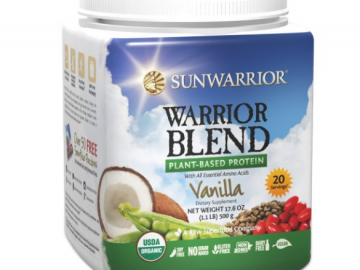 Warrior Blend fuses and multiplies the power of several rich protein sources into one smooth, great-tasting formula that’s overwhelmingly superior to the individual components alone. COMPLETE AMINO ACID PROFILE: Medium chain triglycerides from coconut then join this dynamic fusion to create a unique, raw, plant-based protein with a complete amino acid profile exceptionally rich in Arginine, Lysine, Leucine, and branched chain amino acids. Purely Inspired® 100% Plant-Based Protein Nutritional Shakes are a nutritional, plant-based protein to fuel your healthy, active lifestyle. These great-tasting and nutrient-rich nutritional shakes are dairy, gluten and soy free! With 16g of plant-based protein, at least 6g of fiber and no more than 2.5g of fat per serving, these tasty shakes can help you get the nutrition you want in your diet! I love this vanilla protein powder in my shakes. Good plant-based protein with a little energy boost. I like that it’s Soy-free, dairy-free, and sugar-free. Stevia is the sweetener. 1 Scoop has 14g of protein so I recommend eating a lot of fiber, fruits, and vegetables. Divine Nutrition Products utilizes the highest quality raw materials sourced here in the United States. Not only are the supplements superior in nutritional value, but are the best tasting protein powders in the industry. The “Natural” isolate utilizes a Cross Flow Micro Filtered Whey Protein Isolate. This blend is high in protein, low in carbohydrates, low in fat and sugar free. Not only does this product deliver the appropriate nutrients it also dissolves easily in your beverage of choice without having to use a blender. The “Natural” also provides all the essential branched chain amino acids (BCAA’s) in addition to all other natural occurring amino acids. It’s important to know the benefits of a product and what it contains. It’s of equal importance to know what it doesn’t contain. 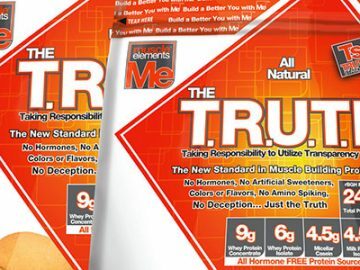 The “Natural” blend has NO artificial colors, artificial flavors, artificial preservatives, aspartame, binders, corn syrup, chemicals, corn, dextrose, dyes, diluents, egg, fructose, flavor enhancers, glucose, glucose polymers, gluten, hormones, maltodextrin, polydextrose, stimulants, sugar, sugar alcohols, sucrose, sucralose, soy, salt, trans fats or wheat. The natural ingredients in this product allow it to deliver a superior taste while providing 50% of the recommended daily protein allowance. Collagen peptides are short chain amino acids naturally derived from pasture-raised, grass-fed collagen protein. Unlike gelatin, these peptides are soluble in cold liquids as well as hot. Collagen peptides contain the same amino acids as gelatin which are identical to the protein found in skin, nails, hair, bones, cartilage, and joints. Gluten Free, rBGH Free, Non GMO. Muscle Elements – The T.R.U.T.H.